At AYPO Tech, Water Operators in the State of Louisiana can find the Continuing Education courses they need to renew their certification. 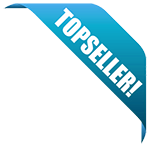 The courses presented here are written by experts and are designed to be engaging and informative. 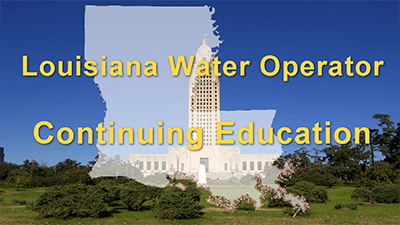 What are the Continuing Education requirements for Louisiana Water Operators? A-J has until December 31, 2019 to get their renewal hours in. K-Z has until December 31, 2020 to get their renewal hours in. This package was designed for the Water Operator that holds multiple certificates, including Wastewater. This package includes all of the courses that we offer that have been approved by the Louisiana Department of Health Operator Certification program. This package course includes: Surface Water Treatment, Source Water Issues and Pre-Treatment, Disinfection, Corrosion Control, Adv. Oxidation & UV Disinfection, Membrane Processes, Meters Valves and Hydrants, Pumps and Motors, Storage Tank Facilities, Basic Electrical Concepts for Water Ops. This package course includes: Surface Water Treatment, Disinfection, Corrosion Control, Adv. Oxidation & UV Disinfection, Membrane Processes, Water Distribution System Op. Overview, Pipelines, Meters Valves and Hydrants, Pumps and Motors, Basic Electrical Concepts for Water Ops. This course package was designed to meet the requirements for Wastewater Operators in the state of Louisiana. The package includes: Coagulation & Flocculation, Sedimentation & Filtration, Disinfection, Corrosion Control, Advanced Oxidation & UV Disinfection, Membrane Processes, Pipelines, Pumps & Motors, and Basic Electrical Concepts. This course will fulfill 3 of your required hours for Louisiana water operators. This course will fulfill 1 of your required hours for Louisiana water operators.